The 2nd Global Conference on Positive Change is a gathering of professionals interested in how to build and maintain a thriving organization in a fast-paced world. The theme of this year’s conference if ‘Building Positive Organizations’, with the aim of inspiring and equipping people with Ideas, tools and connections to get more great organizational change work done. To explore the key themes of positive change, learn about tools/approaches, and to hear from people making positive organizations a reality, delegates will be invited to take part in four different types of session – Thinking, Mining, Learning & Lighthouse. Contributors and delegates from around the world include; business leaders, policy makers, academics, and change professionals. The topics are broad ranging covering; private, public and third sectors. Please visit the website for details. 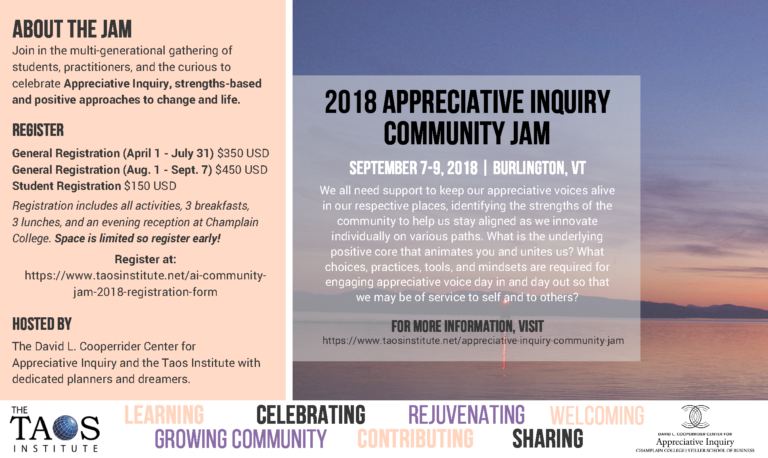 Expand your learning leadership skills by enrolling in Applying Appreciative Inquiry in Education. The Positive Change Core is offering a three-credit online graduate course through Southern New Hampshire University from Autumn, 2018. This collaborative and innovative learning experience uses an appreciative lens to share knowledge and enhance skills needed to apply strengths-based processes in classrooms and beyond. 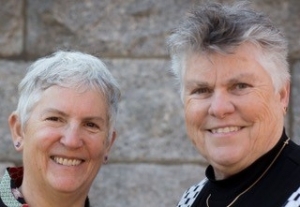 Dr Jeanie Cockell and Dr Joan McArthur-Blair, experienced educators and facilitators of Appreciative Inquiry, will inspire participants to create new learning strategies. Have big dreams for success in your education career? Click here to start your learning leadership future! Do you want to announce your conference, training or workshop here? Please contact us or check out the advertising possibilities.